Love in the time of war is a precious thing, albeit dangerous. Both Billy and Lynne fight it because they can’t be sure they will survive and they’ve both lost so much already that they are not sure they could face more heartbreak. 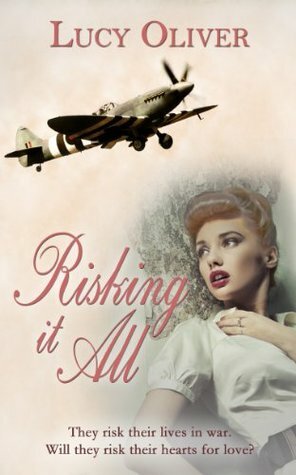 The air raids and bomb-filled skies set an atmospheric background to this love story. The world is fraught with danger, and yet, for Lynne and Billy, there’s a chance they could find some peace in each other’s arms. But everything seems to be against them: Lynne’s humiliation over Billy ignoring her years ago, Billy’s doubts about how well she’s doing her job as head radio operator, their fears of heartbreak … Both characters were well-portrayed and made me want to know more about them. I wished the story were longer so that their relationship could be presented in greater detail. As it was, it felt a bit rushed, and although I wanted to, I didn’t feel the chemistry between them. The characters and events brought the war era to life. The descriptions of the airplanes taking off to go fight the attackers, the bombings, everything added to the tension, making it even more apparent why the relationship between Lynne and Billy seemed unwise at such a time. It was easy to imagine what life was like at the time, and this was a large part of the appeal of this story. It sounded authentic and realistic. The plotline about the traitor at the airbase felt too much like a plot device because there was little development in the storyline and it mostly served to plant the seed of doubt about Lynne in Billy. With more details and a slower build-up, it would’ve worked better, I felt. Risking It All is a tender love story that speaks of hope and optimism. Although short, it succeeds in creating an authentic atmosphere that emphasizes the importance of recognizing when something good is coming your way and grabbing it with both hands. You never know what tomorrow will bring.